We don’t all like the same things. 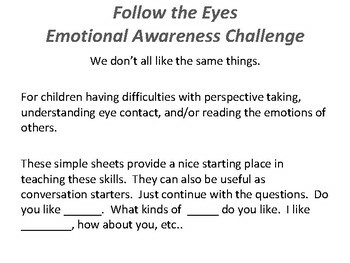 For individuals having difficulties with perspective taking, understanding eye contact, and/or reading the emotions of others. 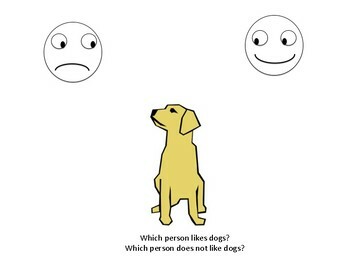 Students start off by identifying what picture the person is thinking about based on what they are looking at. 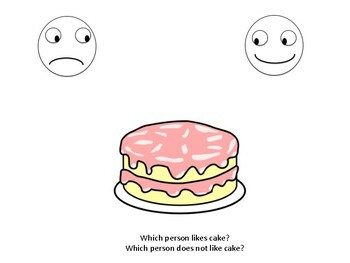 They then determine if that person likes the item based on the emotion they are displaying. These simple sheets provide a nice starting place in teaching these skills. They can also be useful as conversation starters. Just continue with the questions. Do you like ______. What kinds of _____ do you like. I like ________, how about you, etc..